Hire, retain and motivate the entire regional team for superior performance: Regional Business Manager’s team typically consists of Area Business Managers (ABMs), Sun King Executives (SSEs), Regional Mentors (RMs), Customer Loyalty Executives(CLEs) and Energy Officers (EOs) (there may be some variations depending upon the region). RBMs are expected to ensure they create a world-class winning team in their regions, who are disciplined, process-driven and committed to delivering the best customer experience. Training: Provide training to the ABMs and Energy Officers on several aspects of the business such as sales, collections, product, technical, inventory and logistics related. Ensure that they are fully supported and lead in the best professional manner demonstrating the highest levels of integrity, ethics and professionalism while dealing with Sun King customers. Provide role clarity to ABMs, Regional Mentors, and Sun King Store Executives and Customer Loyalty associates, Area Retail Coordinators: Provide complete clarity to the regional team related to their day to day tasks, sales & collections plans, routes and targets. This includes, ensuring that your sales team has a pre-agreed sales route/area to sell in, they understand how to demonstrate and sell Sun King products, they have the confidence to be able to present and resolve basic customer queries on the spot and they have access to Regional Business Manager at all times in case of questions and concerns. Field visits: Have a weekly touchpoint with every ABM and Top 10 Energy Officers in each area – either through in-person meetings, making a joint sale or having a call. Resolve all possible issues faced by the Energy Officers and report them to your Regional Business Manager, every week. Ensure that first 10 sales of each Area Business Manager is done along with the Regional Business Manager in the area, along with some Energy Officers to ensure that the core sales and collection process is fully understood by each ABM. Conduct Joint Fieldwork with ABMs: Conduct joint field work with a group of Energy Officers to provide sales and collection training on a weekly basis and drive EO engagement. This includes doing night activations, market activations, visiting local communities and gatherings such as SACCOs, Self Help groups, retail centres and markets to make group sales. Exceed your sales & collections targets: Meet or exceed sales and collection targets established and agreed on 2nd of every month with your sales leadership. Provide daily, weekly updates on sales, EO recruitments, Customer issues and resolutions, New Area Launch preparations as expected and agreed with your Manager. Drive robust field sales processes: Review sales and collection progress with your ABMs daily and provide adequate training to them on driving better collections in your areas. This includes customer and area profiling, ensuring regular and timely collection follow-ups, resolving customer issues to ensure they make payments and ultimately repossessing the systems as a last recourse in case the customer defaults. Remain externally focused: Keep an eye on competition within your region and ensure you take adequate measures to protect and grow our business from competitive pressures. Pro-actively inform your leadership team and take measures to ensure Sun King remains a paramount brand name in solar products for your area. Resolve customer issues: Provide world-class support to your customers as it relates to product delivery, training on how to use and make payments, installation, after sales warranty issues. Ensure that you work with your Energy Officers to establish clear expectations and processes to resolve all customer issues within 24 hours. Control Marketing & Other Support spend: Provide adequate marketing support & equipment (such as smartphones) necessary to all your Areas. Ensure we get maximum return on investment for all the costs we incur in areas of marketing, supply chain, store maintenance and smartphone issuance. Review meetings with Areas: Ensure that ABMs are conducting periodic table meetings and reviews with all Energy Officers under their purview. Conduct surprise visits to field meetings and areas to ensure that the sales processes and standards observed are that of the highest quality. Recognize outstanding performers from time to time and ensure the motivation of the entire regional team is maintained at an all-time high. Grow Retail presence: Ensure the retail network in your Area grows with the help of an Area Retail Coordinator, hired under each ABM. Ensure all retail related activities are followed per process and the base of high-selling retailer grows exponentially within your area of operation. Process oriented individual and work style is able to work independently and lead the area. Driven by the social mission to provide energy to consumers and employment to rural communities. Should be a values-driven individual. We are looking for someone who is driven, passionate and excited about the opportunity to bring honest, affordable, energy to homes in Africa and Asia. If this sounds like you, we would love to hear from you. 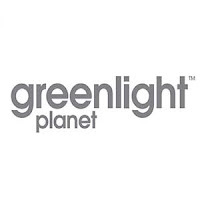 Greenlight Planet offers a competitive salary, a fun, supportive work environment and opportunities for continued professional growth within a fast-growing global enterprise.